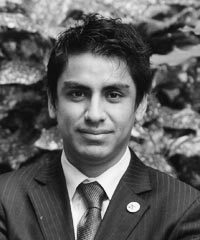 Ricardo Fuentes-Nieva manages a team delivering high-profile research in support of Oxfam’s global campaigns. He works to build the capacity of the whole organization to deliver high-quality, high-impact research in countries where Oxfam works, including developing an internal community of research, creating high-profile collaborations, and securing significant funding. Fuentes-Nieva also plays a key role in shaping Oxfam’s intellectual leadership to meet the challenges facing development.